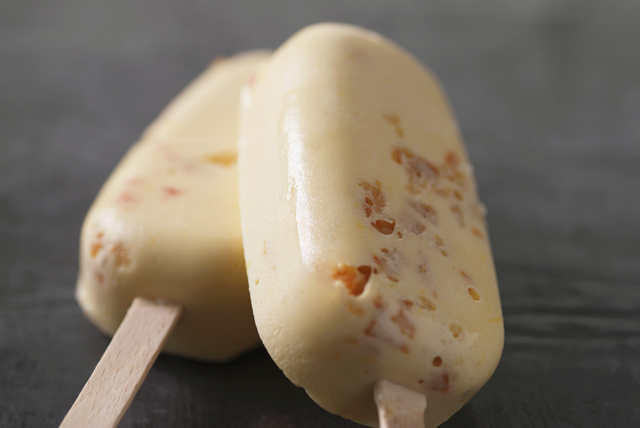 This coffee-infused frozen pop recipe is sure to become a new family favourite. This easy-to-make recipe, for the young and old alike, is made with cream cheese, coffee, whipped topping, yogurt, condensed milk and toffee pieces. Yum! Beat cream cheese product in large bowl with mixer until creamy. Add yogurt and coffee; mix well. Gradually beat in milk. Gently stir in remaining ingredients. Spoon into 8 frozen pop molds. Insert handles into centres of molds. Freeze 3 hours or until firm.